I came across some photographs of a collection of jewellery and trinkets found underneath the Randell family cottage when it was renovated in the 1990s. They were discovered in a small hole behind the chimney. These objects are thought to have been hidden by the three younger Randell daughters – Emily, Helen, and Constance – and may have been part of their elder sisters’ broken jewellery. 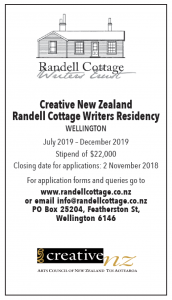 The Randell Cottage is situated at 14 St Mary Street in the suburb of Thorndon in Wellington. It was built by William Randell in 1867 for his family, who moved into the four room cottage that year with seven children. By 1877 there were 10 children! William added two more rooms in 1874. He died in 1880 leaving his wife, Sarah, with five children aged 15 and under. Sarah and the family were supported by three of the elder children until she moved in with her daughter Emily in the suburb of Karori. In 1994, Beverley Randell, great granddaughter of William and Sarah, purchased the cottage with the help of her own family. They refurbished it, keeping much to the original floor plan and furnishings. New foundations had to be laid and, during the digging, many objects were unearthed. Beverley Randell donated the collection of finds to Te Papa in 2006. The objects provide a rare glimpse into the everyday lives of New Zealand’s early European settler families. Want to see more about the objects? Check out Sister’s Secret Stash – Tales from Te Papa episode 88.